The transit system provides bus transit services in the Lewis Clark Valley. 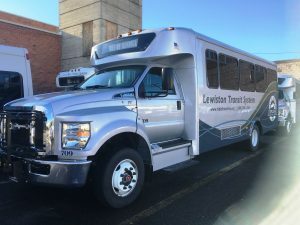 Moving across state borders, the Lewiston Transit System of Lewiston, Idaho and Asotin County Public Transportation Benefit Area of Clarkston, Washington, is helping to connect people with their communities. We are helping ease traffic congestion and reduce air pollution making the Valley a better place to live. If you like the idea of saving money and sharing a ride on your daily commute maybe it’s time to try the Vanpool ?